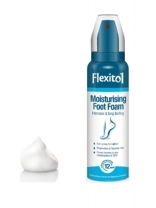 Flexitol is specially formulated for the treatment of rough, dry and cracked feet. For very dry skin contains 10% Urea in a rich moisturising base to care for very dry hands. This nourishing formulation has been developed in conjunction with dermatologists to soothe itchy, irritated skin while protecting your hands from the damaging agents that can cause excessive moisture loss. 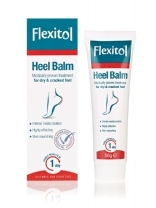 Flexitol Heel Balm contains 25% urea (chemically synthesised), a specially formulated base to maximise its efficiency. 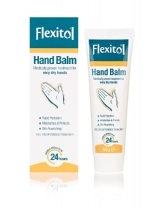 The combination of moisturising, hydrating, emollient and occlusive properties make Flexitol Heel Balm highly effective. Suitable for diabetics. 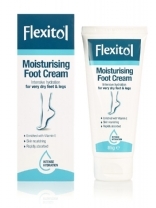 Flexitol dry skin cream is specially formulated for the treatment of rough, dry and cracked feet It has a rich moisturising base softens and cares for everyday skin.Contains 10% Urea and Vitamin E. Suitable for diabetics. Helps reduce hang nails. Contains 6% Urea. Promotes nail growth. 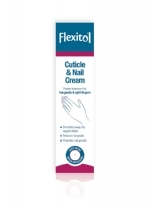 Flexitol Cuticle and Nail Cream repairs, conditions and protects the cuticles and skin around the finger and toe nails. With New Easy To Use Brush Applicator. Formulated to soften calluses and hard skin build up on the feet. This highly efficacious formula contains a blend of Alpha Hydroxy Acids designed to deeply penetrate and break down dead or callused skin without any harm to the normal skin underneath. 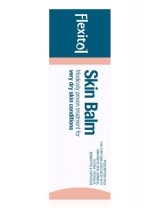 Flexitol Skin Balm is medically proven to alleviate the symptoms of eczema, psoriasis, dermatitis, anhidrotic skin (xerosis), scaly skin, winter itch and ichthyosis. Highly effective and fast acting. 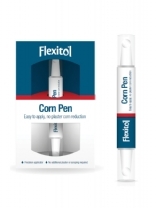 One Step Treatment For Corns. 12% Salicylic Acid. Double the strength of the current market leader. With Precision application. No scraping & no plaster required. Reusable - up to 40 applications. RRP:£8.99 (2ml) Not suitable for diabetics. 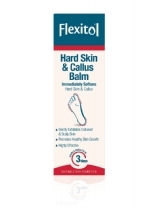 Flexitol is specially formulated for the treatment of rough, dry and cracked feet. Tens of thousands of delighted users are benefiting from its unique formulation. Recommended as a treatment and preventative product for diabetic and general footcare.